Notes: Huyton Quarry was one of the original passenger stations of George Stephenson's 1830 Liverpool and Manchester Railway the world's first railway to cater for passengers as one of its primary functions. It was also arguably the worlds first inter city railway. When the line first opened on the 15th September 1830 no details exist of the initial intermediate stops and Walkers accurate description of the line at the time of opening says that fares for intermediate stops had not been settled implying that initially there might not have been any stops. The earliest known company timetable is 1st March 1831, this did not show times at intermediate stops but did list stops in fare tables. The company minutes of 26th September 1832 did give a full list but no further list was given until January 1846. There were many early changes of stopping place and name so the early history of intermediate stops is patchy. At first trains stops at, for example, level crossings where the gatekeeper issued tickets; perhaps a room in his cottage was available as a shelter. Many of the stations consisted of little more than a basic cottage. In 1841 platforms and nameboards were added to stations lacking them. Huyton Quarry was initially called Bottom of Whiston Incline. 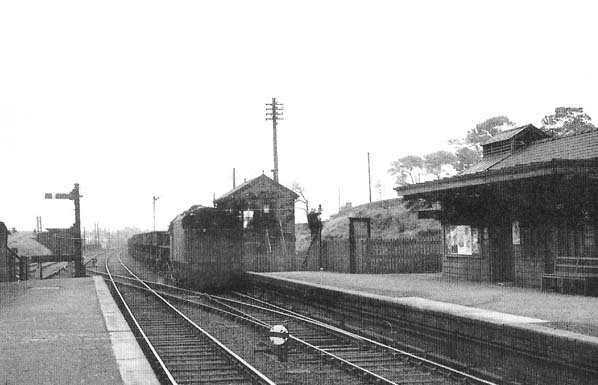 Certainly by the mid 19th Century Huyton Quarry had been developed into a two platform station with station house and booking facilities on the Liverpool platform and substantial waiting facilities on the Manchester bound platform. From the beginning the station would have been served by local trains running between the two cities or on shorted journeys. A steady stream of express and goods services would have passed through. Just to the west of the station a number of sidings where located to serve a small branch line that ran down to the Quarry from which the station took its name. The branch also served a number of local collieries the last one only closing in 1983. 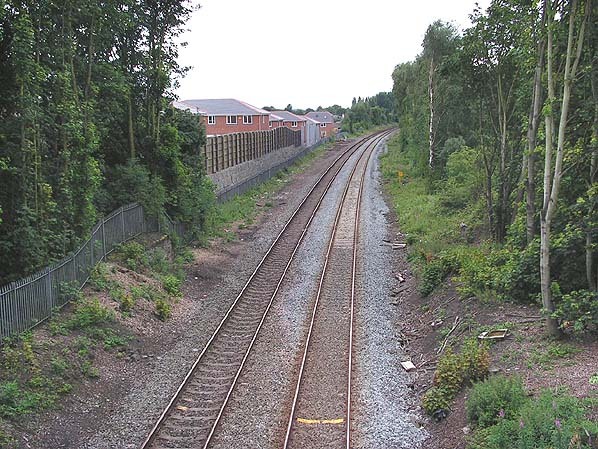 The 1830 Liverpool to Manchester line is still a busy railway but over the years many of its intermediate stations, including Huyton Quarry have closed to passengers. Huyton Quarry was closed on the 15th September 1958.